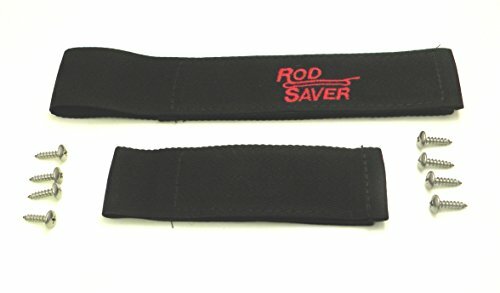 The Rod Saver 10/6RS Original Marine Rod Saver Set means never letting a rod bounce out of the boat again! These rod savers mount to the boat deck to keep rod and reel combos secure while you're on the go. This set includes (2) straps: one 10-inch strap for the handle end of the rods and a 6-inch strap for the tips. The 10/6RS holds up to (7) rods and includes stainless steel mounting hardware. If you have any questions about this product by Rod Saver, contact us by completing and submitting the form below. If you are looking for a specif part number, please include it with your message. By Shenzhen LangTao Bang International Trade Co., Ltd.